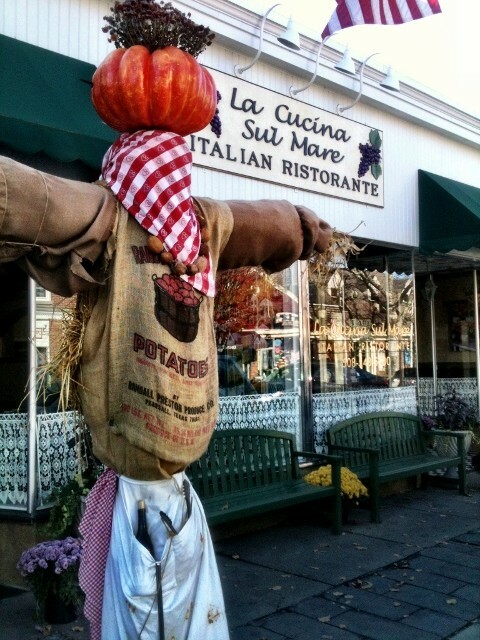 Falmouth Village Scarecrows make their appearance again this Fall and Halloween season on iconic Main Street. 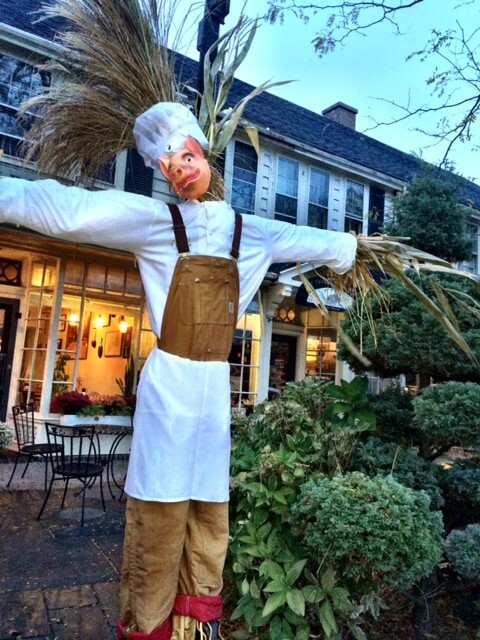 Over 20 different creative oversize scarecrows are located on the lamposts in front of restaurants, retail shops, the local fire station and several bed and breakfasts in Falmouth Village. 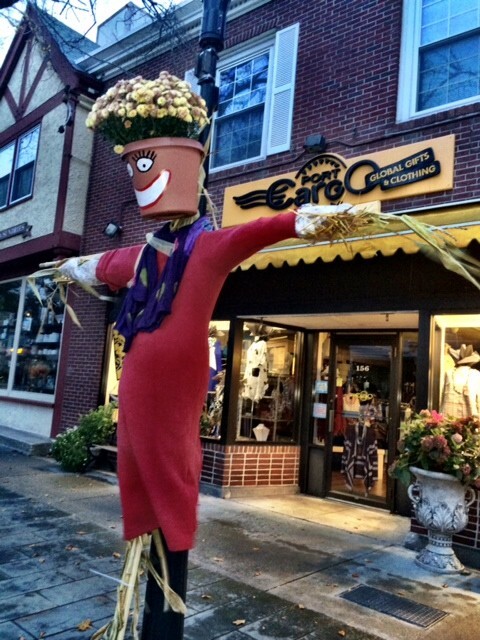 The scarecrows went up on October 15th and will remain until late November. 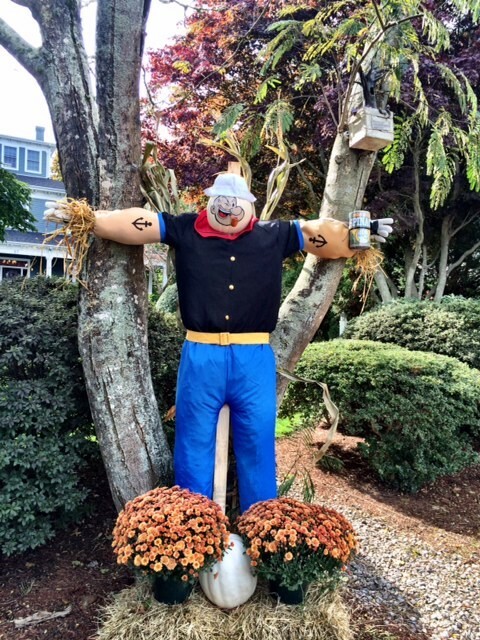 Each year the members of the Falmouth Village Association enjoy showcasing their talents in coming up with a scarecrow character to represent their unique business. This year some of the unique characters include an oompa loompa scarecrow from Willy Wonka and the chocolate factory located in front of Ghelfi’s Candies, a cocktail serving scarecrow in front of the Quarterdeck restaurant, a leprechaun in front of Liam Maguire’s Irish Pub, and Popeye the Sailor Man in front of The Captain’s Manor Inn. We encourage you to take a stroll along Main Street and enjoy the fun and creative scarecrow’s while you stop in to shop at our local shops and restaurants.